Aren't you so happy it's finally Friday?! I know I am! 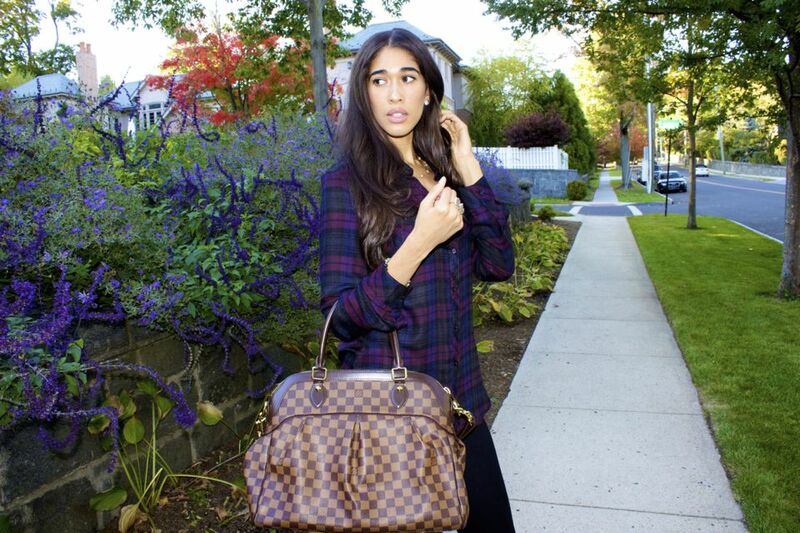 A perfect fall weekend look to me consists of plaid. It can be dressed up or down and works well with an array of styles and textures. 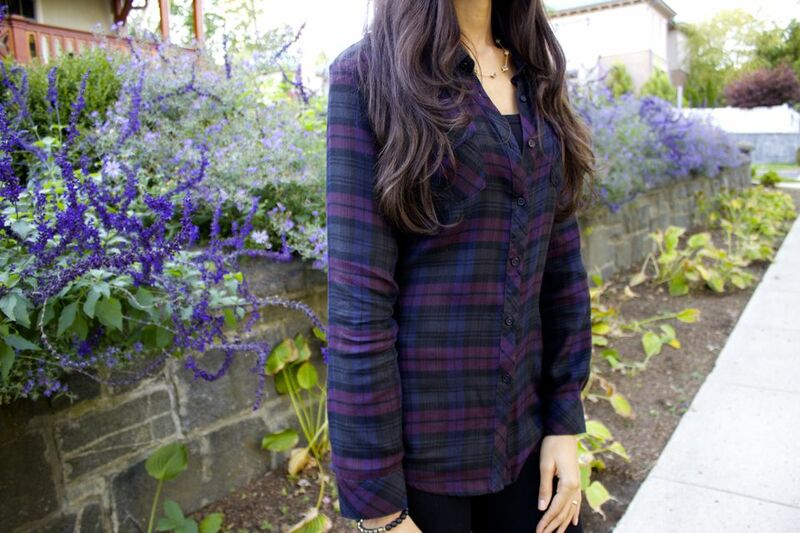 Once deemed ideal for the '90s rocker, this fall staple is extremely versatile and would look amazing on you! If your day will be busy, not leaving you much time to change and plan another look, here's what I'd suggest. Pair your plaid with black jeans or coated (leather) leggings because black will help to dress up the plaid a bit more, so all you'll have to do is change your shoes and perhaps add a bold lip, maybe a color found within your top! Another option would be to wear your plaid shirt with jeans during the day and pair it with a leather pencil or skater skirt for a night out. Lastly, I suggest wearing dainty accessories, as they transition easily to any and every occasion, leaving one less thing to worry about! I hope you found this post helpful! 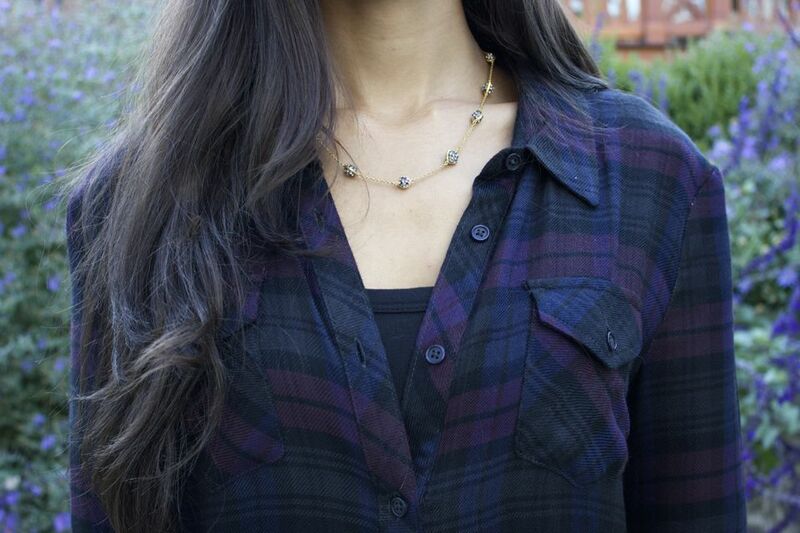 What's your favorite way to wear plaid?! Have an amazing weekend, beauties! Next: That Grey Area Previous: Dot Hits the Spot!